Letter of John Graham of Claverhouse ‘For the Earle of Linlithgow, Comander in chief of His Majesty’s Force. Falkirk, May the 29, 1679. My Lord, I came here last night with the horse and [Captain John Inglis’[ dragoons and munution in good pass. This morning a shoemaker fyred, out at his wyndow, in at the present baylys (where three of my men where siting at meat and bread,) two bullets with in a foot of them. The rogue flaid imediatly out of toun. Two contry men, after we had brok up his doors and missed him, came and declared they had seen him runing a quarter of a mylle of toune. I send a party after him, who found him lurking in a house. He is otherways a great rogue, and frequents field conventicles, and, they say, taks upon him to exercise. I am certenly informed there is resolution taken amongst the whigues, that eighteen parishes shall meet Sonday nixt [i.e., 1 June] in Kilbryd moor [in Lanarkshire] with in four myles of Glascow. I resolve, thogh I doe not believe it, to advertise [George] my Lord Rosse [who was probably in Glasgow], so that with our joint force we may attaque them. They say the ar to pairt no mor but keep in a body. 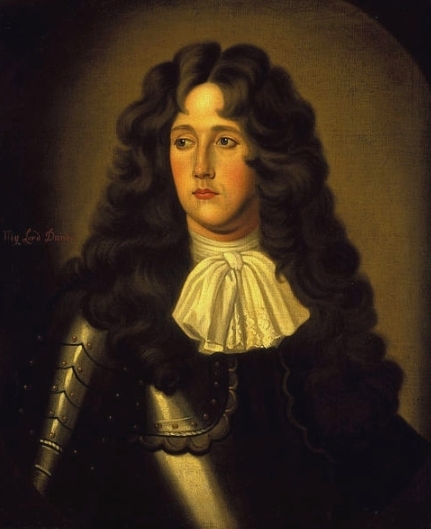 After nearly a month of fruitless searching for the rebels in the hills of the South West, Claverhouse claims that he was sceptical of the intelligence he had gathered about a forthcoming conventicle near Glasgow. In less than two days he would encounter the rebels at Drumclog. The unnamed shoemaker appears to have been preparing himself for an uprising. He appears to have been committed enough to the rebel’s cause to take it upon himself to fire upon government forces. There is no obvious trace of him in later records. He may have been rescued by the rebels at Drumclog, as Claverhouse appears to have taken his prisoners with him to the battle. ~ by drmarkjardine on January 20, 2015.